lets take a look at a kitchen, shall we? what do we think of this kitchen? 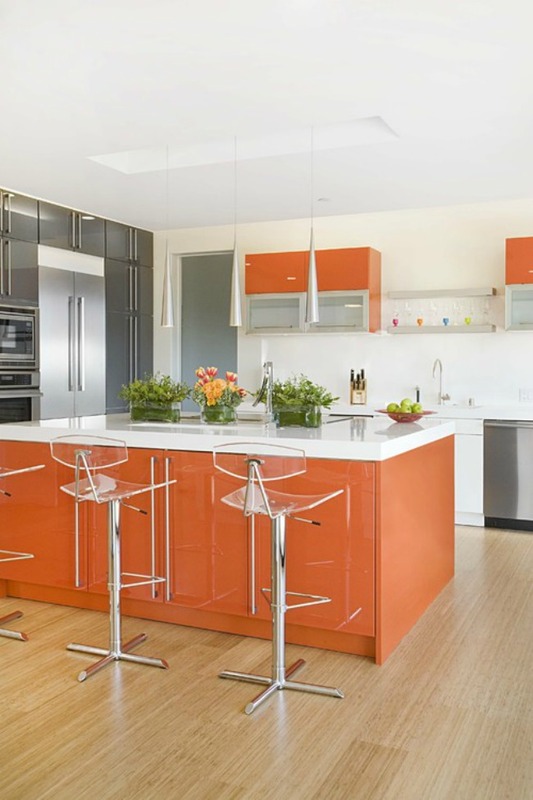 as we've discussed, orange and white together can be pretty modern looking and this kitchen is no exception. often times modern can come off looking pretty cold, but what keeps this room from looking sterile is two things. the light, warm floor + the green plants. try to imagine this room with a concrete floor... completely different feel, right? the room works because of those to things.